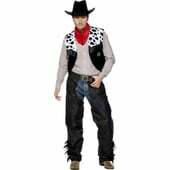 Size: Medium: Chest size up to 41" Large: Chest size up to 44"
Cowboy Gunslinger costume includes a long brown duster coat and a waistcoat with attached white shirt front. 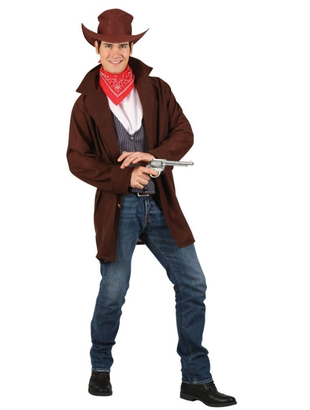 Also included in this Wild West costume is a red and white bandana and a brown cowboy hat. 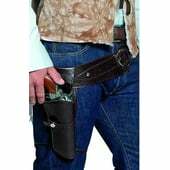 Please note jeans, belt and shoes are not included. 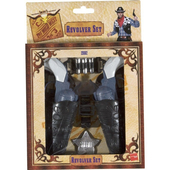 Gun may be purchased separately. 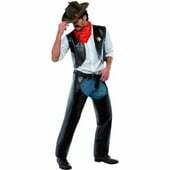 Medium: Chest up to 41"
Large: Chest up to 44"
Great costume. But the large is very big more like a xxl. It's just huge on me think more a small or medium would have done the trick. Can this be exchanged for a smaller size?? Yes you can return an item and get a different size.